Length is one factor in determining the type of shaft you need. There are three elements to consider when you are about to change the shafts in your golf clubs. They are the length, the amount of flex (stiffness of the shafts) and the materials that comprise them. Furthermore, you should choose shafts that are based on your physical stature and the status of your game. If you choose the right shafts, you will soon see your game improve and your love of the game strengthen. Factor in such things as your height, the length of your arms and your type of swing to determine the length of your shafts. As an example, you may be tall but you also have long arms, so you may not need longer shafts. Also, if you tend to grip down on all of your golf shots, you might consider shortening your shafts slightly. After consulting a shaft length chart (see References), make final adjustments based on your style of play and your height. Choose the proper flex; there are five for both graphite and steel shafts. They are Ladies, Seniors, Regular, Stiff and Extra-stiff. If you don't have the help of a professional club fitter, you can determine which flex you should have by how far your drives carry in the air. For example, if you hit the ball only 175 to 200 yards, you should have either Ladies or Seniors shafts because they bend more and will help you swing a bit faster. However, if you hit the ball 250 to 275 yards, perhaps you should choose Regular or Stiff shafts because they bend less. 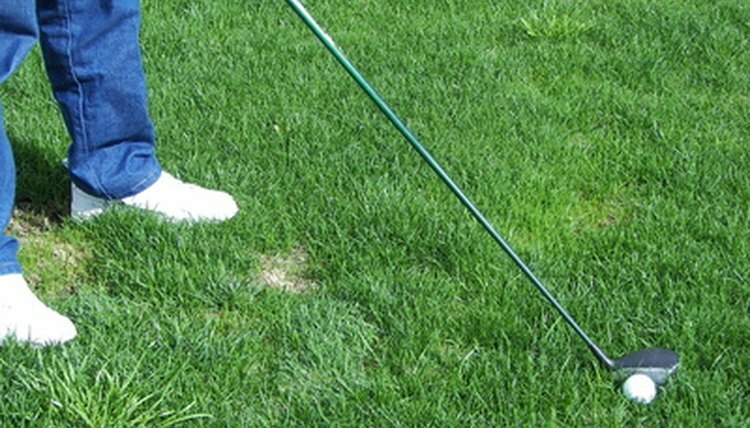 Unless you hit the ball a ton, Extra-stiff shafts should not be a consideration. Consider whether you should have shafts made of graphite or steel. Steel shafts are somewhat less expensive but they are heavier, making them more difficult for people with slow swing speeds. Choose graphite shafts because, being lighter, they are easier to swing faster; this will translate into greater distance. However, if you are a low handicapper, you may place a premium on being able to feel your shots more with steel shafts, particularly with your irons. Understand that all your golf clubs do not have to be either graphite or steel. In fact, they should vary depending on how you hit a particular club and what you are trying to do with it. For example, you could have graphite shafts in your driver and hybrid clubs to give you greater distance, and steel shafts in your irons to improve your feel. Your choice of either type is a matter of personal choice.